Few books for this audience are as timeless and gripping as Hatchet and the other books of The Brian Saga. These books are more than just adventure and survival stories. They are about a boy coming of age and finding his inner strength and courage in the face of physical and emotion turmoil. Brian not only has to deal with the elements, but he must also come to terms with his parents divorce and his own feelings of isolation and disconnection in the world. 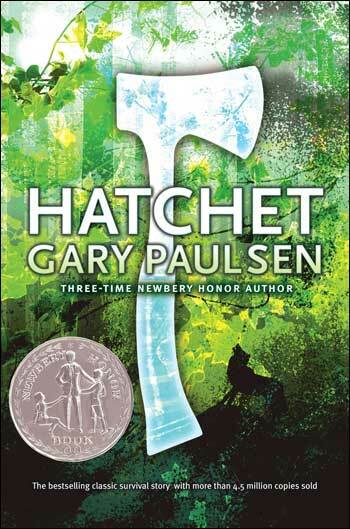 If you have a reluctant reader, recommend Hatchet. 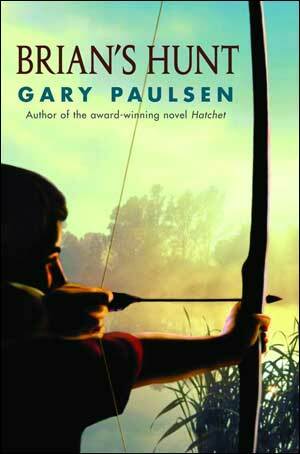 Your students or child won't be able to put it down and will be eager to dive into the next book in the series. And if you haven't read them yourself, you really should. Even if you aren't generally a fan of the adventure genre, these books are not to be missed. There are several different book covers available for this classic series. One version is shown above, another is shown below. Below are summaries of the books in this series, plus respective reading levels and average Amazon customer ratings. These books have many more local (state-level) awards than we have listed here, but we didn't want to bombard you with too much information. In this book that launched the series, thirteen year old Brian is the only survivor of a plane crash over the Canadian wilderness and must find the strength and courage not only to survive, but to find his way to safety. With nothing but the hatchet his mother gave to him, Brian learns to make a fire, craft hunting devices, and hunt for food. 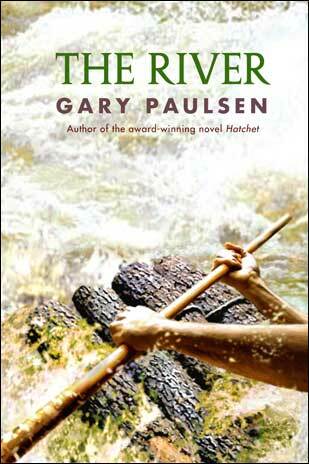 This gripping adventure will have readers at the edge of their seats and eager for more. 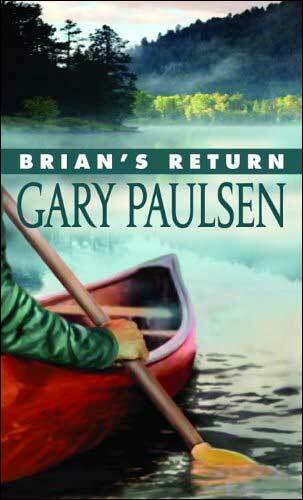 Two years after having survived the Canadian wilderness, Brian is asked to return. The government wants him to teach the military about the survival tactics he used, with a government psychologist at his side to observe and take notes. Brian agrees and the two set off, but things don't go as planned. During a violent thunderstorm, the psychologist is hit by lightning and it's up to Brian to save him. His only hope for getting help in time is to take on the mighty river! How many times have you read a book and wondered about other possible endings? We know we have! 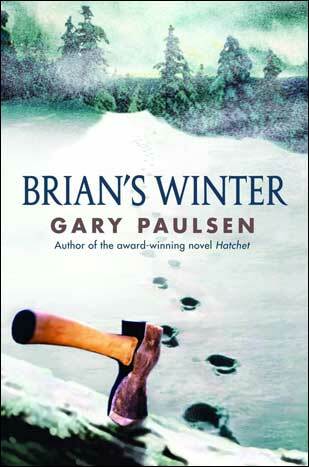 Brian's Winter does just that, providing an alternate ending to the first book in the series, Hatchet. This book presents an entirely different scenario in which Brian wasn't rescued at the end of the summer. Instead, he was forced to face the most lethal danger in the vast, unforgiving wilderness: a harsh Canadian winter. After facing life and death experiences in the wilderness, Brian is having a hard time navigating ordinary life back in civilization. He feels disconnected the life around him and even more isolated at his high school than he did when he was alone in the wilderness. He decides the only way to address these feelings is to return to the Canadian wilderness to try and find himself and discover his own true path in life. Brian has come to realize that the wilderness is his home. He much prefers the natural world to the man-made one and spends his time alone in the wild. One day he stumbles upon an injured dog near his camp and nurses it back to health, all the while sensing danger and worrying about the safety and well-being of his Cree Indian friends who live just north of him. Determined to act on his instincts, he sets off headed north... off on the hunt on his own in the wilderness. Publisher Random House has comprehensive teachers guides for each of these books on their website. The guides include suggestions for pre-reading activities, thematic connections, cross-curricular activities, vocabulary lists, and tips for additional extension activities. The link above connects to the guide for Brian's Winter. To find guides for other books, simply search by book title.